Add more distance to your game. 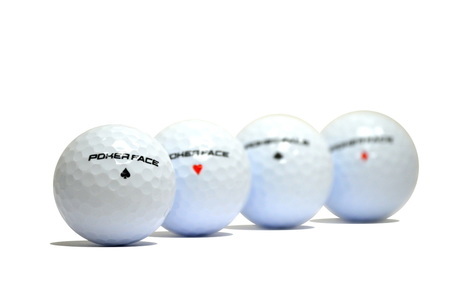 Experience the EXPLOSIVE distance with silky smooth feel with Poker Face. See up to 10~30 more yards on your next shot! 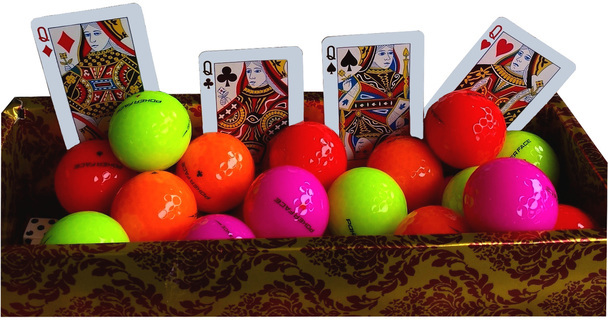 Poker Face Color Distance balls are the BRIGHTEST color balls on the market. Play with all four colors - Red, Pink, Orange, and Yellow-Green and show off your uniqueness! Unleash your potential with Poker Face Royal Flush. Premium performance balls made affordable for golfers of all skill levels.